In honor of this weekend’s big festival and parade, we thought it was an appropriate time to highlight one of our favorite gay-owned businesses in the city. 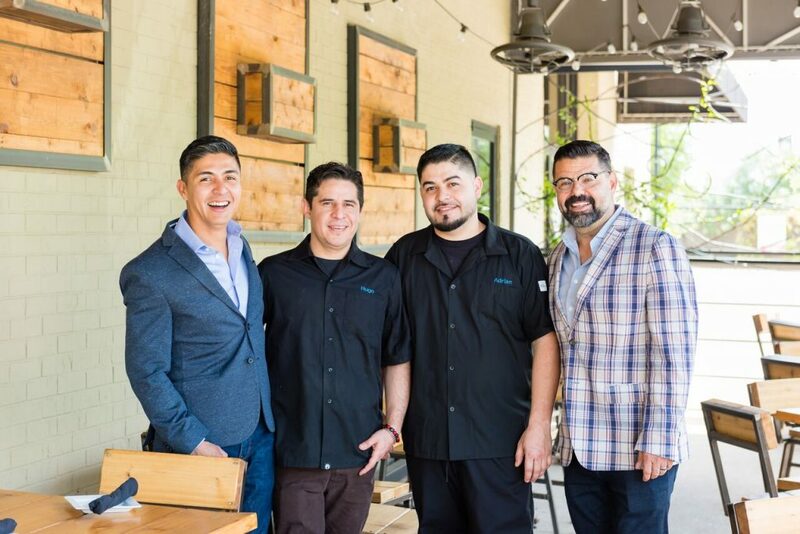 Most every gay who’s lived in Dallas for the past few years has eaten at Komali, either when it was owned by out chef Abraham Salum or after partners Emmanuel Salinas (above left) and John Broady purchased the beloved establishment. But if you haven’t been since the complete transformation to Casa Komali, it’s time for a return visit. In addition to the ever-so-slight name change, Emmanuel and his talented team have made over the entire space, menu and vibe in exciting ways. We mentioned this briefly when we featured the eatery as one of our early summer Brunches of the Week, but more details are definitely in order. The new coffee bar side of the restaurant also features a charming lunch counter, ideal for solo dining. 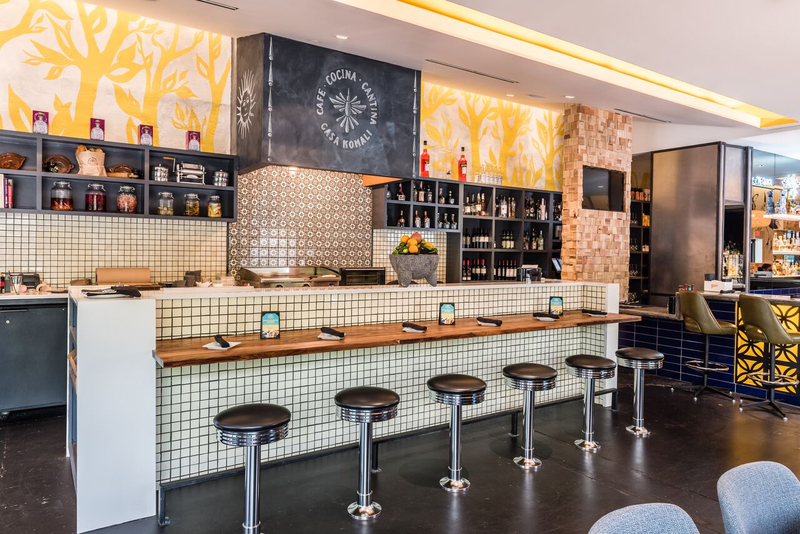 The bar now resides in the center of the space to make way for a cozy espresso bar with grab-and-go items, as well as a remodeled dining room and patio, ideal for a casual lunch, dinner or weekend brunch. There’s even free WiFi if you’re like us an need a change of scenery from the office every now and again. The signature fireplace hasn’t changed, but seating and artwork have been given a fun, friendly, casual overhaul. 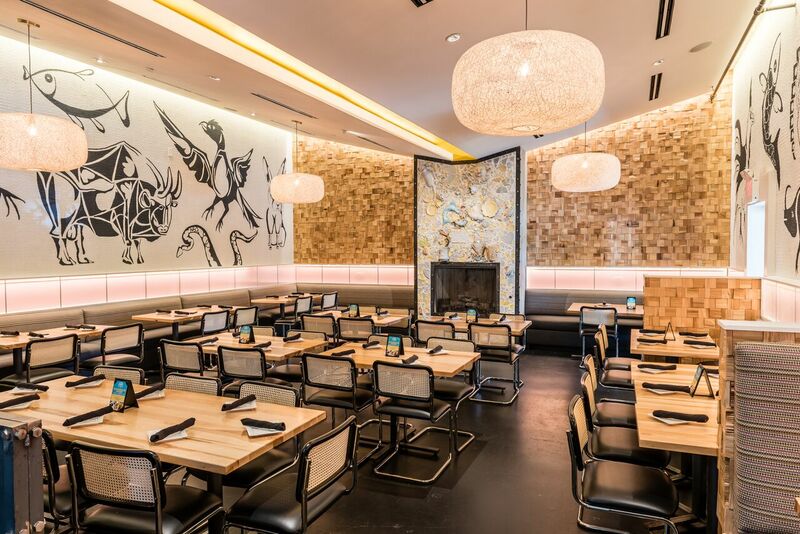 Regulars from Komali 1.0 will be happy to see that the focal fireplace and its broken pottery facade have remained untouched, blending seamlessly with new natural-fiber wall art and far more casual tables and chairs. Yet, thankfully, none of the understated elegance has disappeared. 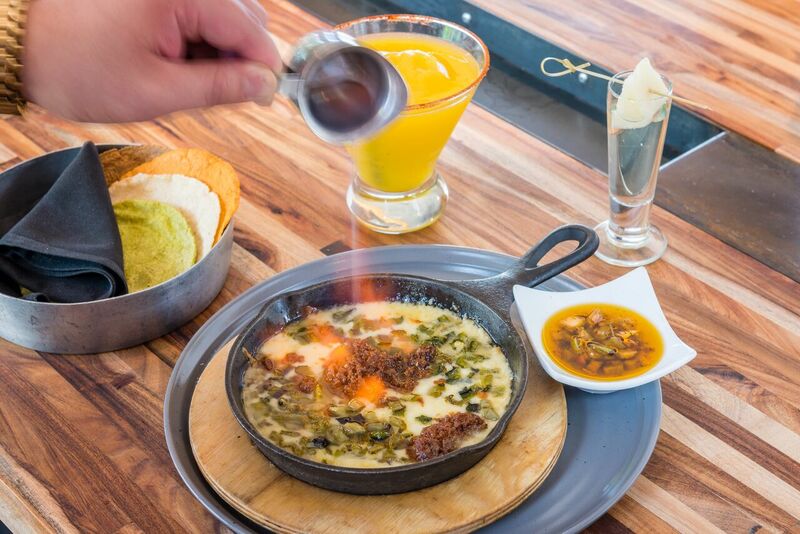 Dishes and drinks from all regions of Mexico populate the menu at Casa Komali. Of course, cool spaces don’t mean a thing without consistently incredible food and cocktails. Rest assured, we’ve done our due diligence and have tried nearly everything at every meal of the day. We have yet to come across a plate of food or cocktail that didn’t make us want to strip naked and roll around in it. But we’ve always been afraid of third-degree queso flameado burns on our more sensitive areas.